We’ve pointed out in a couple of posts how companies hurt themselves with poor customer service — one involving yours truly and another involving a frequent flyer. In the latter example, there’s room to disagree on who’s to blame, the company or the customer, but imagine if you would a world in which company and customer actually seem to LIKE each other. Can’t quite imagine that? I hear ya. But it’s true. For evidence, take a look at the story here that captures all sorts of examples about great customer service — from a bakery that isn’t too proud to let a 3-year-old drive its branding to companies that automatically or manually find ways to return money to customers to airlines that will hold the plane to let a man visit a relative within hours of dying. One of our favorites involves a family stay at a Ritz-Carlton resort in Florida. Like the case of the CEO of a company dealing in customer retention who was mistreated, the storyteller here is a guy in charge of a company’s services. Except unlike me with my T-shirt company, this guy had a fantastic experience with Ritz-Carlton. 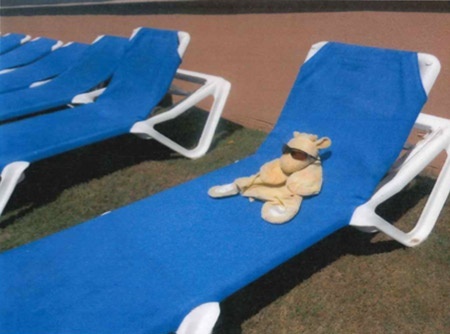 And what’s even more thought-provoking, the staff that gave the great service — capturing photos of a little boy’s lost stuffed animal enjoying an extended vacation — got a kick out of the work. At my company, we’ve always pushed our employees to go the extra mile for clients because the ripple effects of terrific customer service extend beyond mere satisfaction and retention. Exemplary customer service distinguishes your brand, builds repeat business, combats price competition, and even improves employee morale. How about you? Any stories you have about your company doing well by your customers? Please share them below! If you don’t have anything to share now, keep your eyes open for opportunities to create a great service experience (or wake up, stop dreaming, and get back to work… after all – it is iGaming by the of day :).